Go fetch! - We can’t create a list of games to play with your dog and not include the classic game of fetch now, can we? But throwing a stick is slightly dated, so we suggest mixing it up and using a ball or your dog’s favourite toy. Tug-a-war- we’ve got another golden oldie. Make sure that you have a good, sturdy toy for you and your dog to play the game with, you don’t want them ripping one to shreds. To play, ask your dog to sit and then grab the toy. Invite them to play when you are ready and then encourage them to tug. Pooch paddle- now we know the term is “puppy paddle” but older dogs love going for a dip too. Get them moving by throwing a ball into the water and encouraging them to bring it back to you. Just watch out for when they come out of the water, they might try to get you as soggy as them. Doggy footie- this is an easy and fun game to play with your dog and no explanation of the offside rule is necessary! 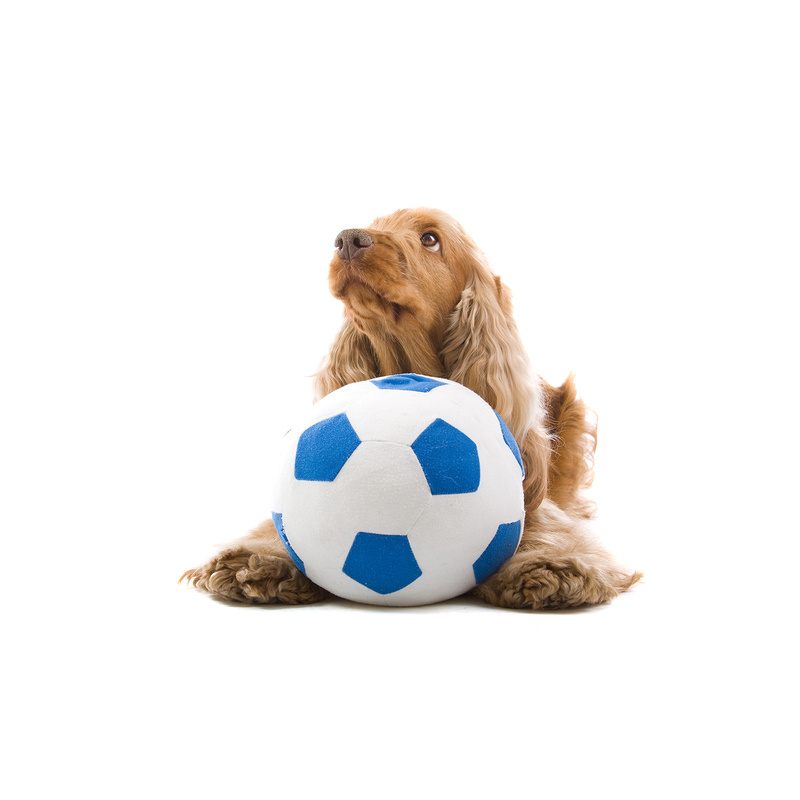 Just make sure you use a ball that is the right size so your canine companion can easily pick the ball up. Treat hunt- an everyday take on Easter egg-hunt, this game will keep you and your pooch entertained. Grab a few of your dog’s favourite treats and hide them in a different room to them. Once you’ve hidden all the treats, call them in and let them sniff out all the goods! Don’t forget to share pictures of you and your pooch playing fun games over on our Facebook, Twitter and Instagram pages!